Closet bolts are used to secure the toilet bowl to the closet flange. 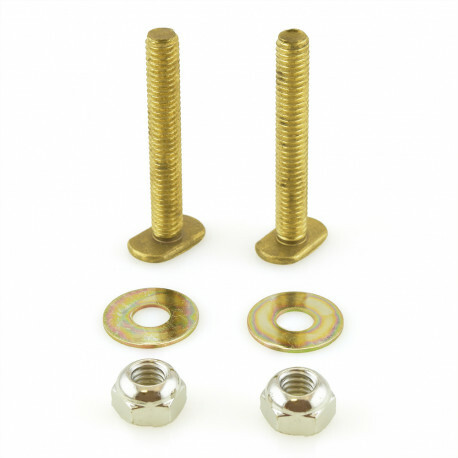 Kit includes (2) 5/16" x 2-1/4" long solid brass closet bolts, (2) nickel-plated steel acorn nuts and (2) zinc-plated washers. Includes: two bolts, nickel plated nuts, zinc-plated washer.